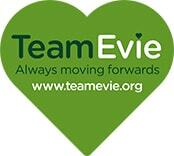 We would like to thank the Times and Star for their very kind donation of £1000 to TeamEvie!! We are delighted to have their support! The money will be used as part of a project we are working on that will provide support for bereaved parents in West Cumbria – which we will hopefully be launching in the coming weeks!